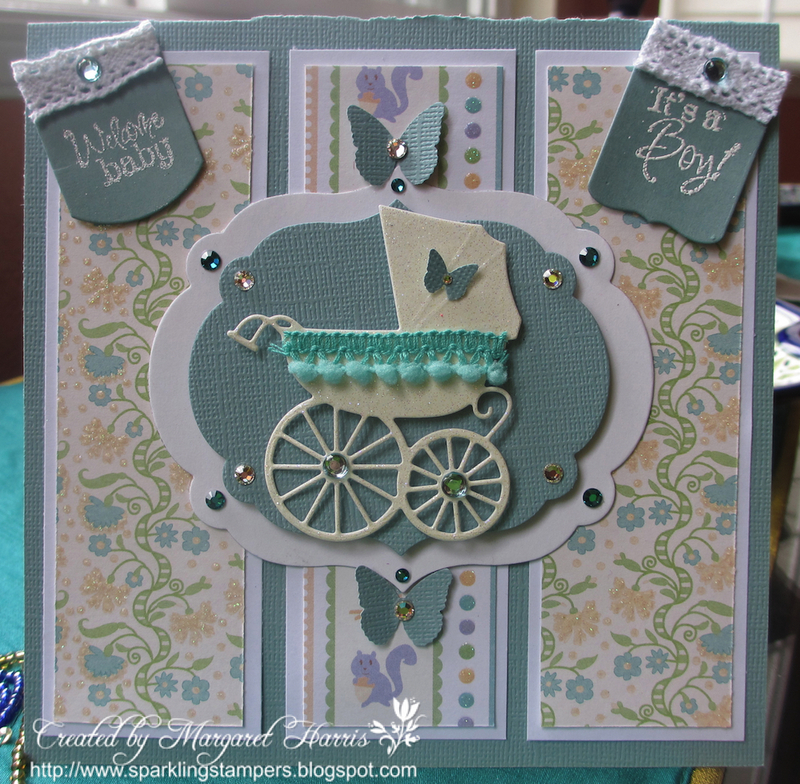 Sparkling Stampers: Welcome baby...it's a boy! After many long days, hello again everyone! Kathy did such an outstanding job keeping up the blog during my hiatus--and she made such lovely cards. I could tell she had some great inspiration mojo going on. Well...BIG BIG NEWS! Last Saturday, not only did my girls come back home after a long summer vacation, but my sister finally gave birth...to a boy! I am an aunt! AND a godmother! It was such a happy day...I can't wait to meet this little one unfortunately it won't be until January. He is beautiful...and from what I hear such a wonderful calm sweet (and quite strong) baby. He was already trying to lift his head as the nurses were trying to bathe him to everyone's amazement. 7 lbs 15 oz. 20 inches long. Welcome to the world Peter Adrian. Below: Almost 8 pounds of pure deliciousness! What a beautiful card and an even more beautiful baby. Can you believe Elizabeth gave birth to him??? Thanks for sharing the deets!!! Awwww congrats to your sister, such beautiful photos. 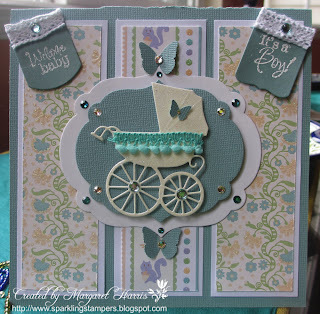 Your card is gorgeous, I love the pram and fabulous detailing. What a gorgeous card, beautifully made and such pretty papers, thanks for joining in with Sketch N Stash. Congratulations on becoming an aunt and godmother to such a beautiful baby boy!